On track: The F-Gas regulation works! 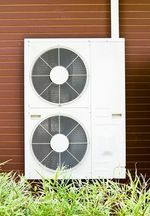 Europe is setting the course for the future of HFCs: In the coming months the EU Commission will be evaluating whether the F-Gas Regulation effectively reduces greenhouse gas emissions or whether more drastic measures are required. The F-Gas Regulation 842/2006 which entered into force in 2007, has hardly had the time to show its real potential. However, by mid 2011 the Commission will present a report which will be the basis for a possible review of the legislation. To that end, it will investigate whether the regulation has been fully implemented in all member states and try to gain conclusive evidence on its effective impact on emissions. Although this is a difficult task, at this early stage, the signs are encouraging.